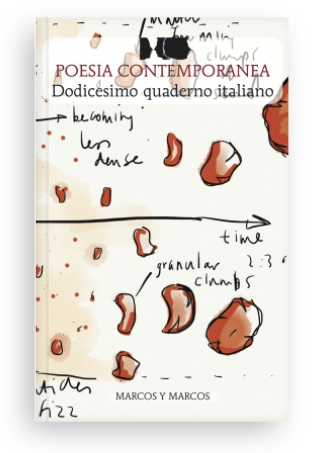 If you like contemporary Italian poetry – check this book out! Along with great contents, it has front/back cover artwork designed by myself. 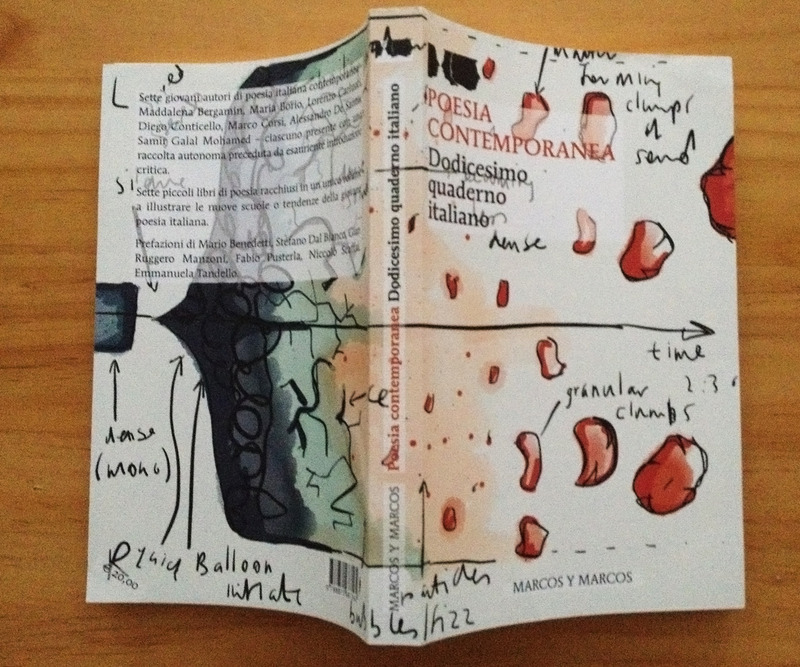 The publisher, Marcos y Marcos based in Milan, got in touch regarding some of the images from one of my MA sketchbooks and were keen to use it for this book. The sketch was from my project sketchbook for Sphere. It is a visualisation of a timeline showing the formation of the universe, from the big bang until the formation of matter. 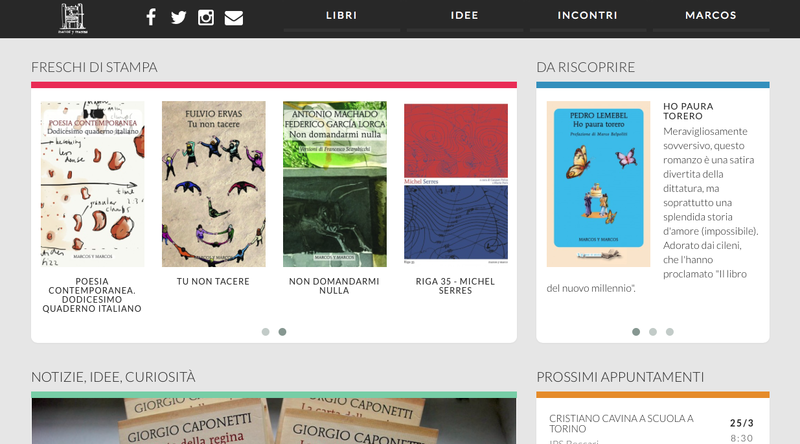 I feel incredibly privileged to have my work published in this way and amazed that you can find hundreds of copies in shops in Italy! congratulations for the magnificent cover. I really like it. Thank you Alessandro. I hope the book is successful for you and the other authors. Let me know if I can ever help you again. Best wishes. And good luck for your future projects.